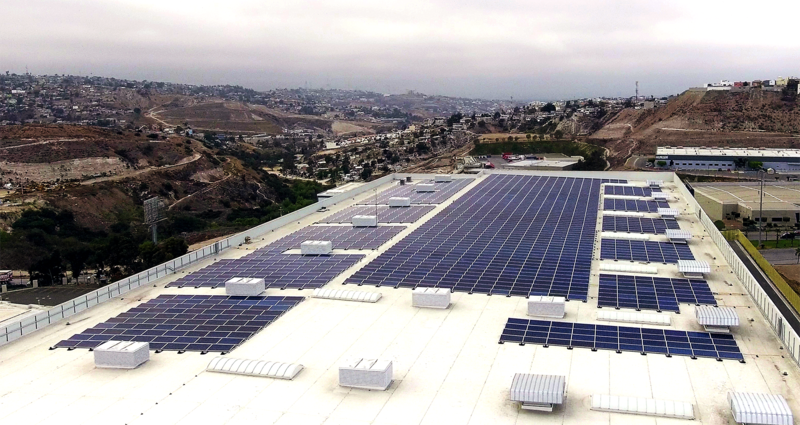 E-solutions Energy installed 1,612 solar panels using EcoFoot2+ 10-Degree Racking Solution on the Sohnen building in Tijuana, Baja California, Mexico. 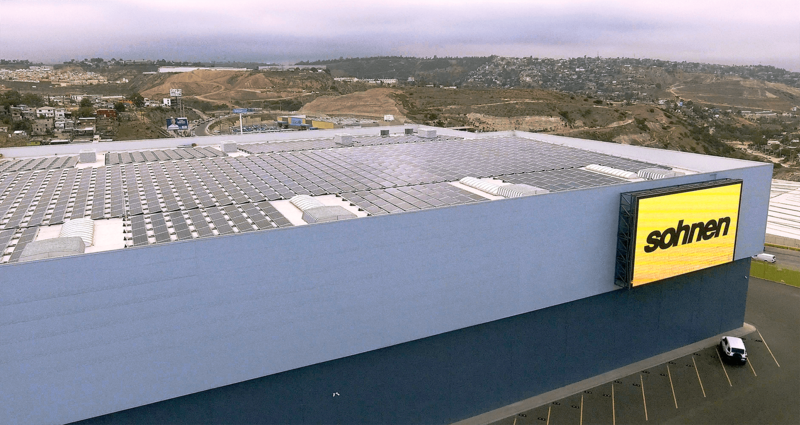 Four hundred APSystems microinverters also installed, which is thought to be the largest microinverter installation in Latin America. Installation of the entire array, including electric, was completed in 19 days with eight installers. 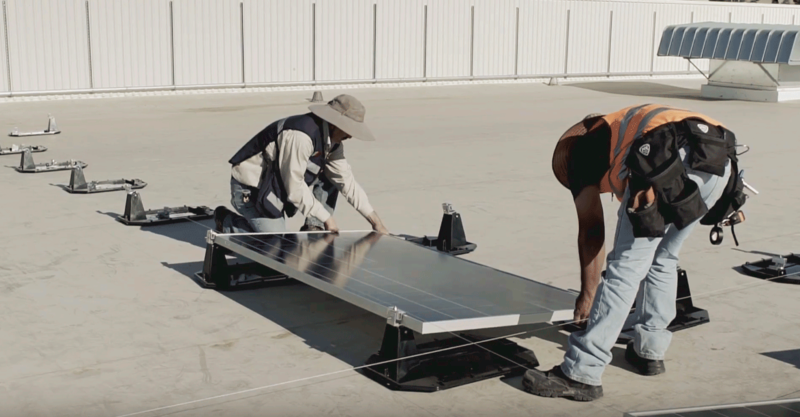 EcoFoot2+ Racking enabled a fast installation – it’s rated at 13.5 PV modules per installer hour by DNV-GL. But there’s more to a project of this size than efficient installation. Project planning, coordination and logistical management can make or break the bottom line. Speed of delivery: EcoFoot2+ Bases, Wind Deflectors and Preassembled Clamp Kits arrived at the Mexican border in just 18 days . International export and import support ensured reliable delivery to Tijuana. Project planning: Ecolibrium Solar’s expert staff designed the layout for the 1,307 sq. ft. array. Plans include bill of materials. 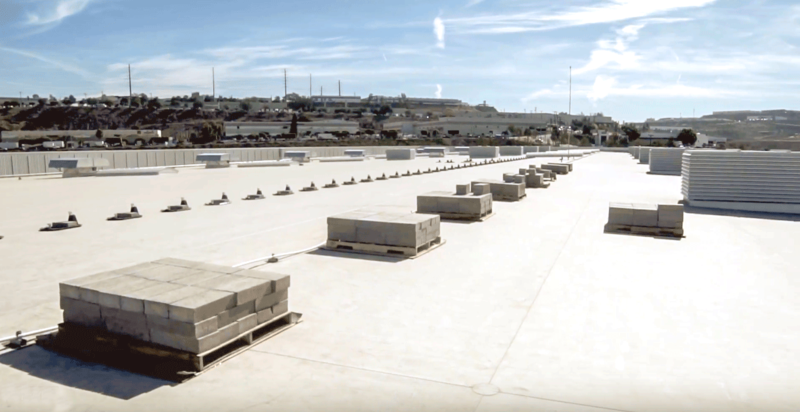 Streamlined logistics: Only 14 pallets were required to ship all EcoFoot2+ components for this project High packing density means cost-savings at every product movement. Click to watch a video of the installation.